Looking for that cool car. Lone Star Muscle Cars Is Proud To Present this blast from the past. 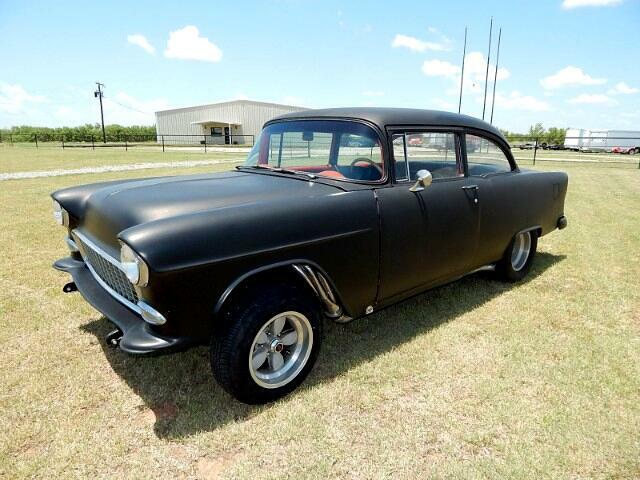 1955 Chevrolet 210 Gasser Powered By A Big Block 505 Cubic Inch Motor With A 4L60 Automatic transmission. This car is done in classic Gasser style Hot Rod Black Paint Bucket Seats Tilt Front End and of course that one of a kind look. Let the air out to 18 PSI and watch this car leave the line hard with it's Posi Rear end. Call for more info. Message: Thought you might be interested in this 1955 Chevrolet 210.